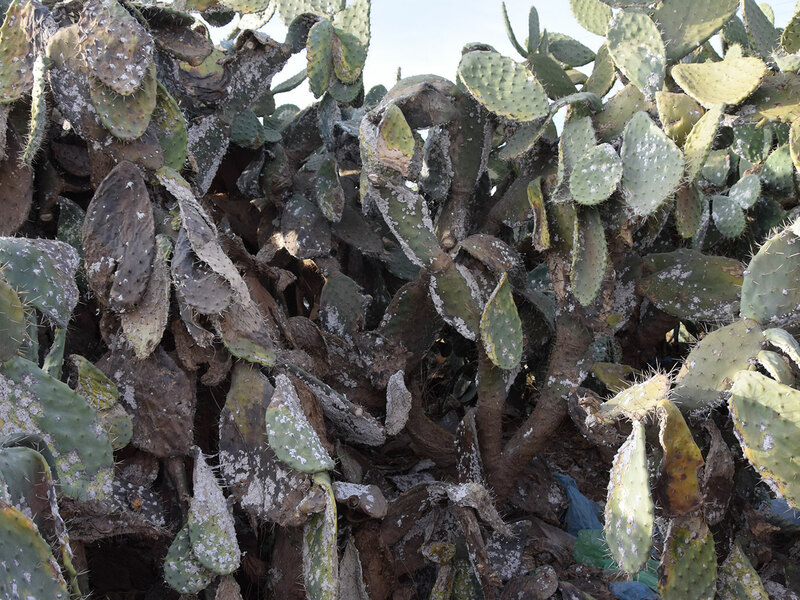 Currently, the cottony cochineal, Dactylopius opuntiae is considered as one of the most important insect pest for cactus orchards worldwide. This insect has infested large areas in few countries by limiting forage and fruit production. 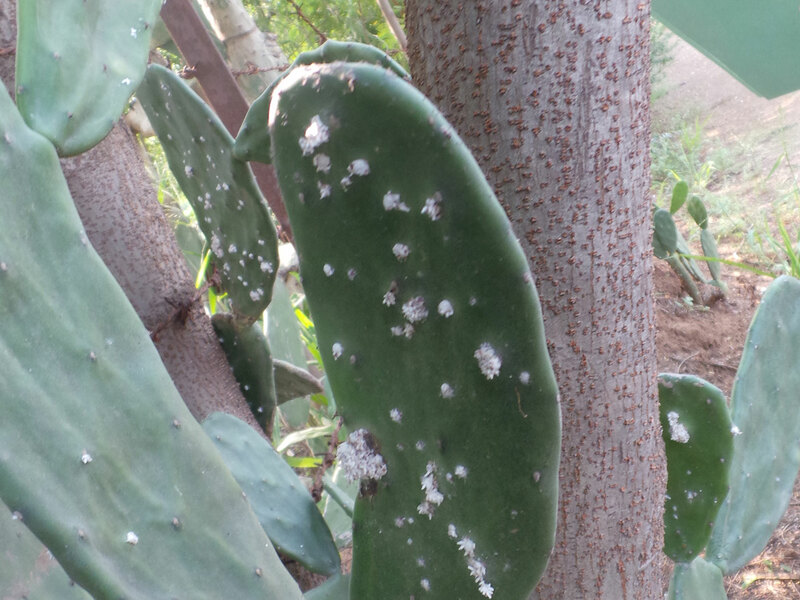 Cochineal insects live on the surface of the cactus plants, usually in aggregations or colonies consisting of individuals in various stages of development, settled at the base of the spines. All feeding damage is caused by the females and nymphs. Within a few weeks, yellow areas appear on the cladode, which eventually drops off. 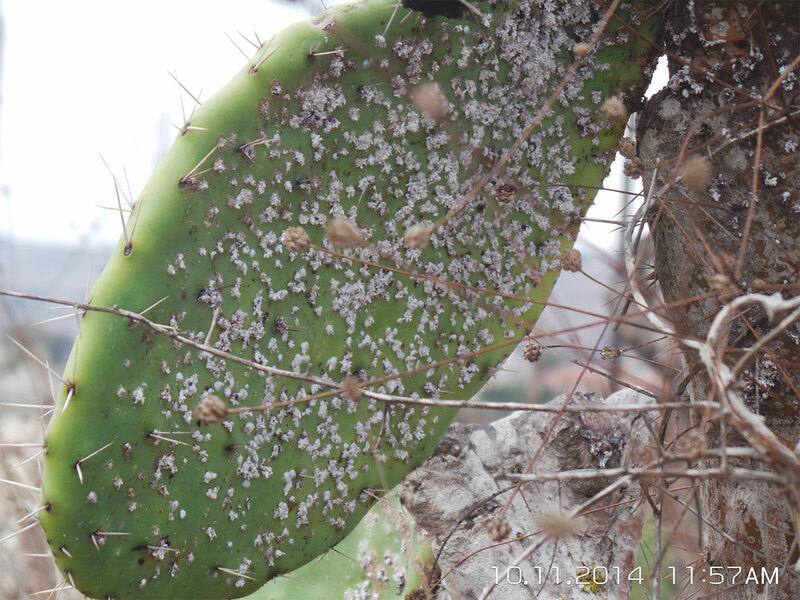 Although new cladodes may grow, these will also drop off if the cochineal remains on the plant. 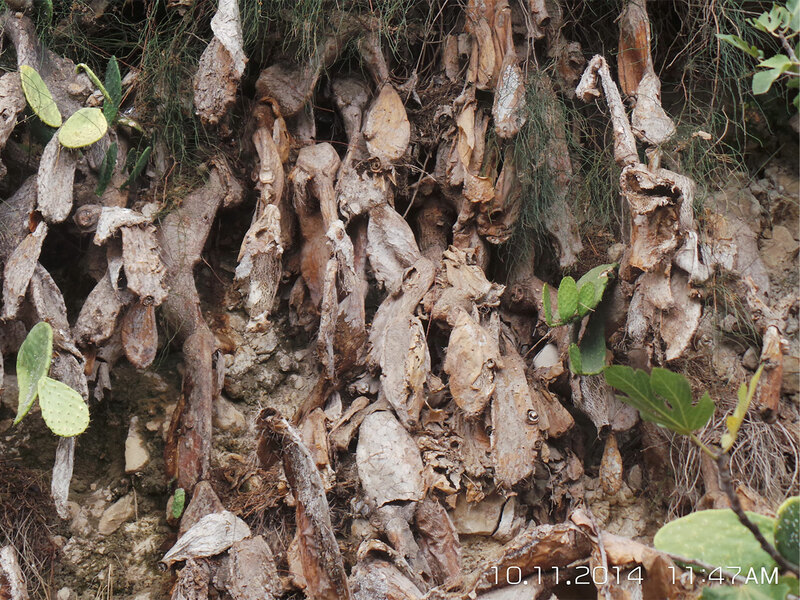 Depending on the severity of the infestation, the trunk may also die. 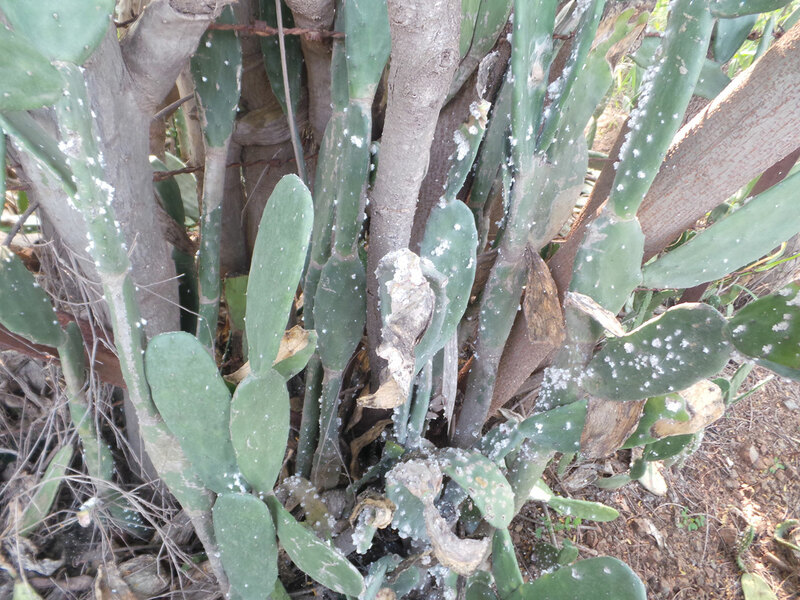 Male cochineal insects never feed as adults. The first-instar larvae are the most susceptible and easy target of control. 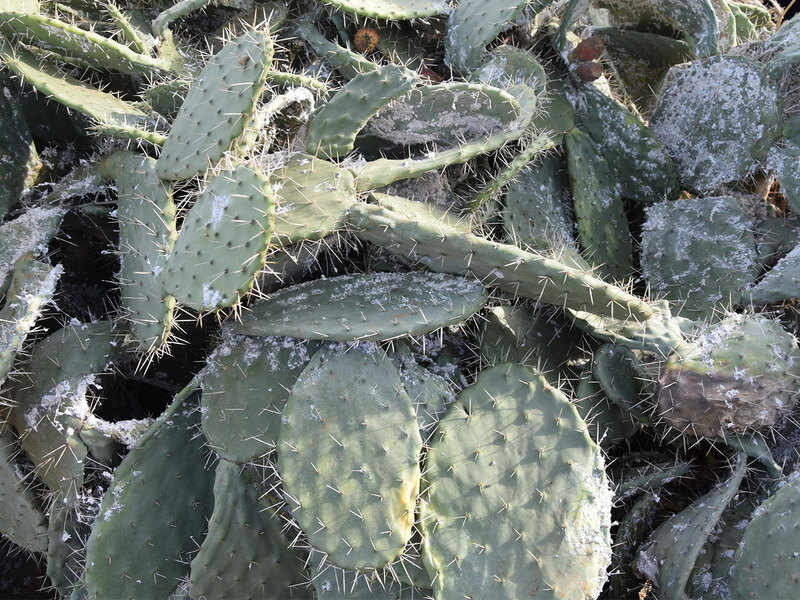 International technical cooperation network on cactus.